Rural communities must vote out corrupt leaders: Lekota - SABC News - Breaking news, special reports, world, business, sport coverage of all South African current events. Africa's news leader. Lekota says the government allocates billions to uplift poor communities but the budget ends up in the pockets of individuals. 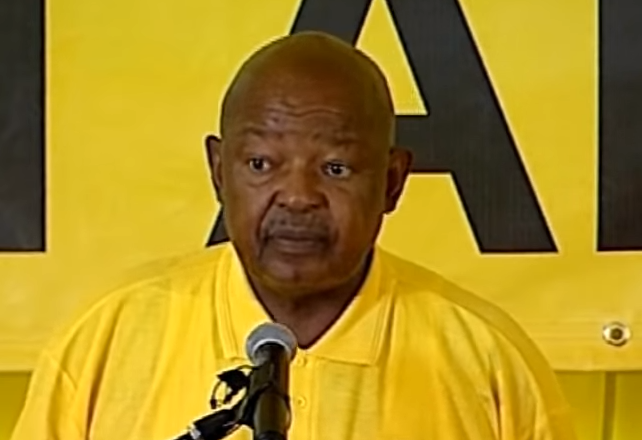 Congress of the People (COPE) leader, Mosioua Lekota, says rural communities must vote out corrupt leaders if they’re serious about service delivery. Lekota has been on the campaign trail in Limpopo since Friday. On Sunday, he visited the Sephukubje RDP section in the Mopani area. Lekota says the government allocates billions to uplift poor communities like this one but the budget ends up in the pockets of individuals. “Our people are in deeper poverty than during in apartheid because of these dishonest creatures that are stealing their money. I am saying to our people that they must send us to parliament. I stayed 10 years in jail eating boiled food. I do not need a BMW or a Mercedes-Benz or things like that, I need to be given a task to ensure that when we send money from the parliament it comes to the premier and he will account,” says Lekota. Lekota also introduced the COPE Limpopo Premier candidate to the community.